Be wary of spoilers everyone, as retailers are breaking the street date for Uncharted 4: A Thief’s End. Reports coming out of the UK confirm that Amazon Germany and US customers are receiving their copies of Nathan Drake’s last adventure as early as today, two weeks ahead of the game’s May 10th launch. Those receiving their early copies have taken to putting them on eBay for up to £90. 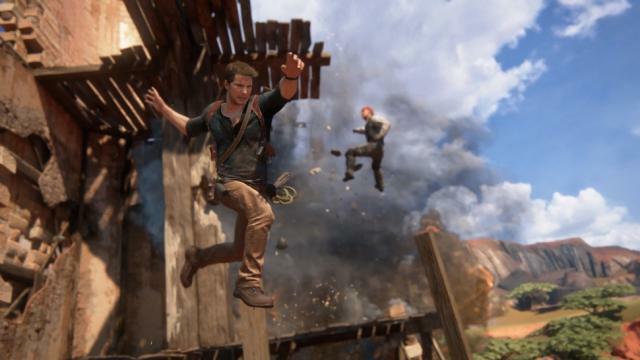 Uncharted 4 will act as the final game in the series for developer Naughty Dog, and the studio has hinted that it would be challenging to make a sequel starring protagonist Nathan Drake. For more on the series, check out our thoughts on how the series should wrap up.